Would you like a world without adults, nobody telling you what to do? 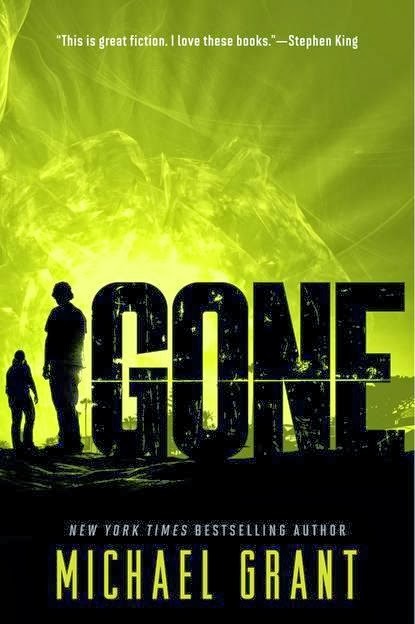 In the book, Gone, by Michael Grant, all the adults are gone in a blink of an eye. Here is a fake newspaper I created explaining the conflict of the book. In the exposition of the book, we are introduced to a fourteen year old named Sam and his two good friends, Astrid, and Quinn. Since they are currently one of the oldest on Earth, the children are depending on them. Grant writes, “Sam hesitated. If he showed them, crossed this line, he wouldn’t be able to make them forget it. They would keep at him till he told them everything” (44). However, no one knows, it’s different for Sam, he has and knows a little more than the others. In my opinion, the conflict is person vs. society because Sam is deciding on whether he should tell the others what he knows and could do, in order for his friends to understand the problem. Here is where I created my fake newspaper. Have you ever tried to suicide? In the book, Damage, by A.M.Jenkins, Austin Reid tried to suicide because of depression. Above is a Prezi I created to show how he overcomes depression because of a theme I thought of after reading the book, “There are many things that are just a tiny part of our lives”. Here is where I created my Prezi.